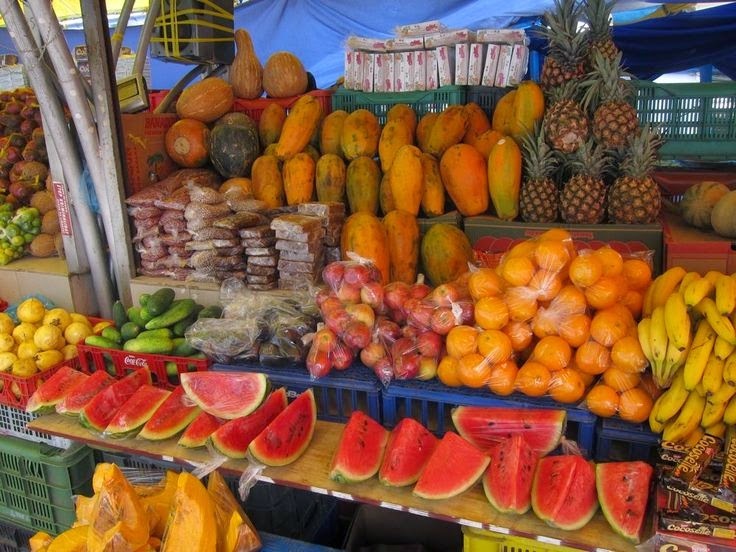 On the sidewalk side, the canopied stalls offer a diverse variety of fresh fruits, vegetables and seafood. The fruit and vegetable colors make an enticing display - here you'll find yuka, passion fruit, watermelon, coconut, plantains, bananas, sugar cane, key limes, avocados, peppers, oranges, mangoes, and honey. 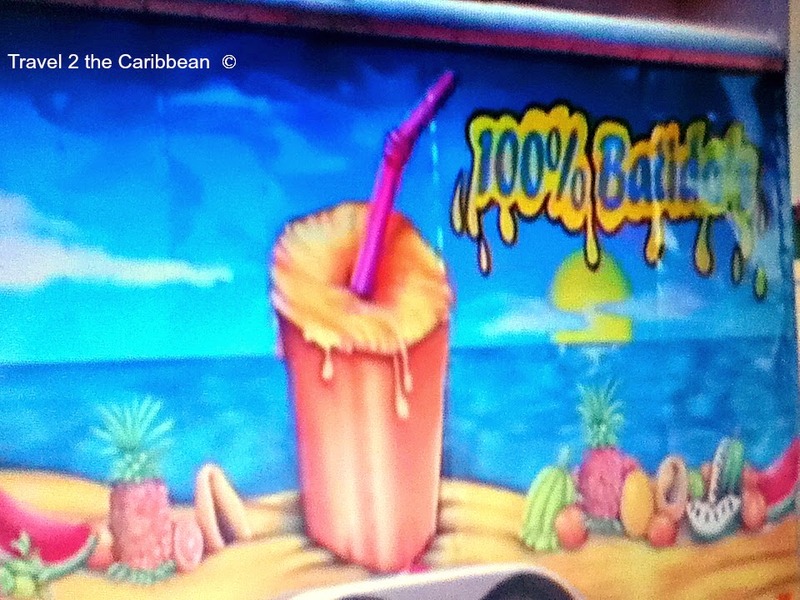 100% Batidos trucks have the best tropical fruit milkshakes you will ever taste! Curacao is an arid island formed of coral and volcanic rock, and this environment is not ideal for agriculture. 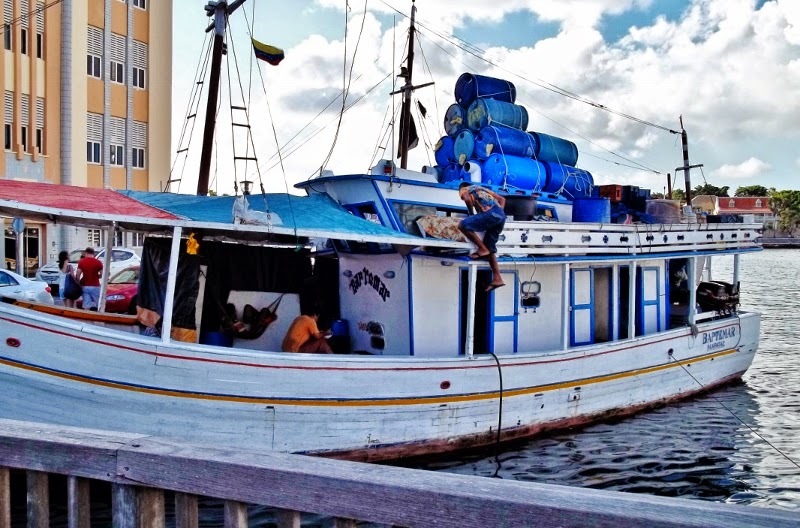 The majority of the islands food is shipped in from neighboring islands, Colombia and Venezuela. 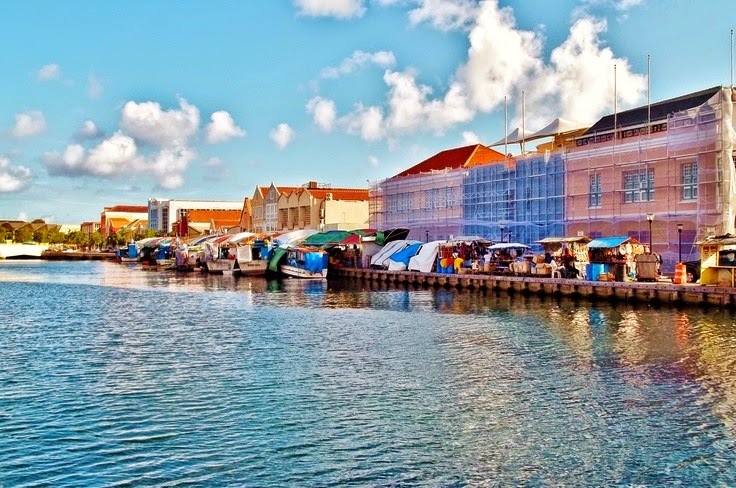 While the floating market provides food for the islanders, and is one of the popular tourist attractions, there is a back story about the men who set sail in their small boats across the Caribbean Sea to Curacao. 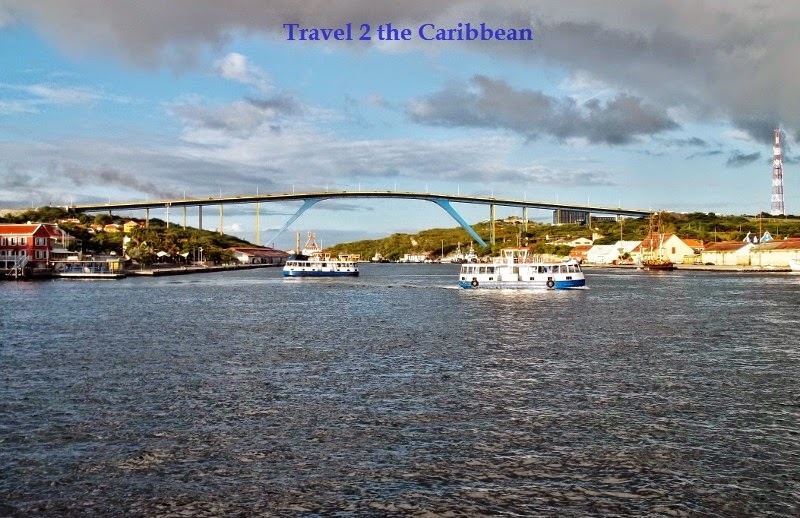 The time spent in Curacao is approximately eight months, and the men live on their boats for the duration of the stay. Each day supply boats arrive to restock the vendors with fresh food, along with bringing news, letters and packages from their families. 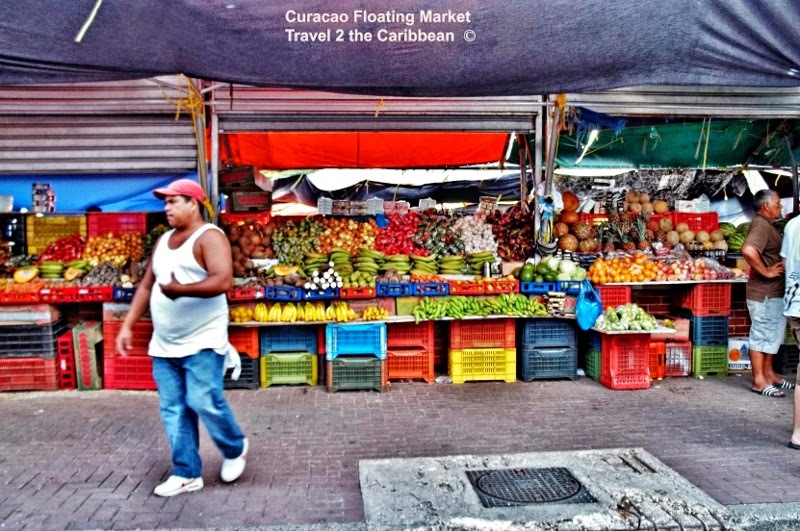 Selling their produce in Curacao provides better economic opportunities than found in the coastal fishing villages of Venezuela. This is a tradition passed downed for generations from fathers to sons. Recently I viewed a documentary on the Floating Market which follows the stories of several sailors and their families, from the dangerous night time sea crossing, through the months the men spend living on their boats, and finally the happy reunion with their family.